The concept of luxury has changed. Once defined as extravagant living and opulence, these days luxury has evolved. What has been characterized as coveted brands and extravagant showings is now often understood to mean exclusive and singular experiences. The kind of moments that simply cannot be mass produced for just anyone. And what could be more singular and unrepeatable than watching a total solar eclipse on an exclusive Chilean safari-tent excursion from a secret location under some of the clearest skies in the world? That’s the opportunity our local operating partners at Upscape are now offering. The 5-day/4-night experience runs from June 29 to July 3, 2019 and explores the Norte Chico region of Chile. As seen in ‘Conde Nast Traveller', the Outpost Elqui Valley Total Solar Eclipse trip provides one of the few accommodations available in this remote region. 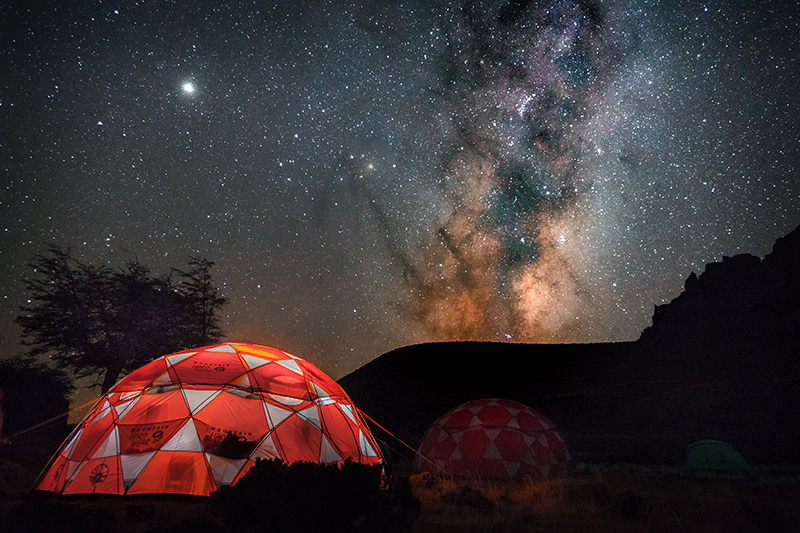 While thousands are set to travel to Chile’s most arid regions to watch the solar phenomenon unfold, only a few will be able to do so at the fully outfitted pop-up camp near the Elqui Valley. Due to the nature of the event, our partners are keeping the exact location of a secret. The camp itself is a throwback to an earlier era of travel in Chile, a nod to Chile’s rich history of adventurers exploring the deserts and remote valleys throughout the country on arduous treks, all in search of pure adventure and experiences unknown to the rest of the world. But it’s not simply about having an otherwise unattainable seat to the solar event of the year, it’s also about you. The upscale pop-up camp’s truly remote locale offers you a real escape. “With the secrets of a destination exposed online through social media, we’re traveling differently these days. Outpost is a response to this dilemma, from the need to help change the way we’re traveling through Chile,” is how our travel partners describe their approach to creating Outpost Elqui. While the trip begins and ends in Santiago, Chile, the in-between features explorations into the undulating dunes and the craggy, red-tinged mountain ridges of the legendary Valle del Elqui. You’ll sip Pisco sours, ride horseback through the desert, visit world-class observatories with expert astronomers, and walk in the footsteps of the indigenous Molle people who once inhabited the region and left incredible clues to their way of life behind, all as you await the big event. As we mentioned, space for this Chile trip is quite limited, so please, give us a call today if you’d like to ensure you’ve got your spot to experience an event like no other in a place like no other.